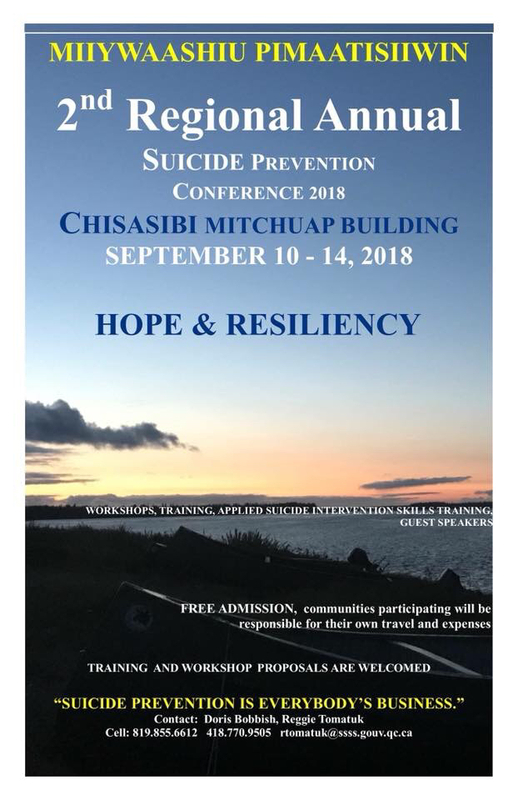 The 2nd annual regional Suicide Prevention Conference will be held at the Chisasibi Mitchuap Building between September 10th to September 14th, 2018. There will be workshops, training and guest speakers. Admission is free!